“Maybe the cat has fallen into the stew, or the lettuce has frozen, or the cake has collapsed. Eh bien, tant pis. Usually one's cooking is better than one thinks it is. And if the food is truly vile, then the cook must simply grit her teeth and bear it with a smile." There is a certain European feeling that looms Cape Town, and areas such as Kalk Bay boast this cosmopolitan vibe and feel to a tee. I love that you can be an individual here, without the judging and predjudice that often deems necessary in some parts of our city. In a large pot, heat the oil and add the lamb. Brown until slightly soft. remove off the heat. In the same pot, saute the garlic and ginger, add the onions and brown until soft, for about 10 minutes.Add the chilli powder, ground coriander and cinnamon. Add the lamb back to the pot and stir for 10 minutes. Add the stock, the paste and honey and allow to cook, bring to the boil before adding the potatoes. Allow to simmer and reduce for 2hrs on a low heat. In case you don't know, which I am more than certain you do. I have opened a restaurant! Having had a call three weeks ago to tell me that the restaurant had gone through and my offer was a success, I sit with a dream and so I plan. I wanted a location that was traditional, beautiful and with a sea-view.Having done some research in Cape Town over December in search of the "spot" Kalk Bay was the best option and I am delighted to tell you that all is going well, with abundant of renovations underway I am sure that "Mella's " is going to be a success. Roast half Butternut with Mediterranean vegetables,mozzarella and a side salad. Oudsthoorn Ostrich, pan seared, served with mushrooms and a cream sauce. I hope this gives you a taster of what is to come! Booking essential! I had some friends at the weekend over for dinner, it was a girlie night as you can well imagine. 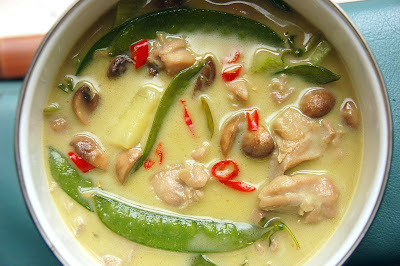 I wanted to make something "healthy-ish" but full of flavor, so I thought Thai Green Curry would be well-fitting. 6 organic chicken breast, or pieces: cut into chunks against the grain of the chicken. In a large casserole pot, on a high heat, fry off the thai green curry paste, along with the shallots. Add the sesame oil and stir well. Add the ginger and the chilli and fry off for 5min.Add the coconut cream and allow to simmer. In the meantime, chop your chicken into pieces and add to the pan. Add your potatoes and stir well. Turn down the heat to a simmer before adding the broccoli and mange tout. Allow to cook for 20 min, then add in the mushrooms and two tins of coconut milk. Cook for a further 30min, until the curry has reduced slightly, add your fish sauce to taste.Cook for a further 5min, or until your potatoes are soft. Remove from the heat and serve with Cinnamon rice. Its been a small while since I have last written a blog,but being a growing gourmet, takes a lot out of you. This year I have decided to be more fruitful with my time in learning unusual recipes using unusual ingredients. From adopting Larousse, to mini tutorials, to experimenting with freshest of flavors, I am well on my way to becoming a champion. Having recently been in the Cape, it has inspired me to be more of an analyst,with food. It's reverence has allowed me to be more creative, more crisp with choices of what to cook. I have recently acquired a victory recipe as an alternative to ketchup, using onions! It is more of a relish than anything else ,but it is fitting for the perfect burger. In a pan on high heat, add the onions. Allow to brown, before adding the vinegar. Add the butter and allow to brown further, for approximately 5min.Add the sugar, lemon and salt. Stir well. Serve on top of a burger as a relish. Its Summer in Cape Town, and it is always customary to spend a little time in the winelands, I say a little because you can get very carried away with the different wine varietals. Franschhoek, an overture of choice, is definitely a "must-see." Having pit-stopped at Spier, which is very much on the Stellenbosch route, first, I couldn't be more excited to explore my next venture, Fairview. "Goats-do-Roam" is very much the truth here, because all of what they suggest goats. The "Goatshed Restaurant is excellent" and being so in love with cheese and food in general I was in complete admiration. 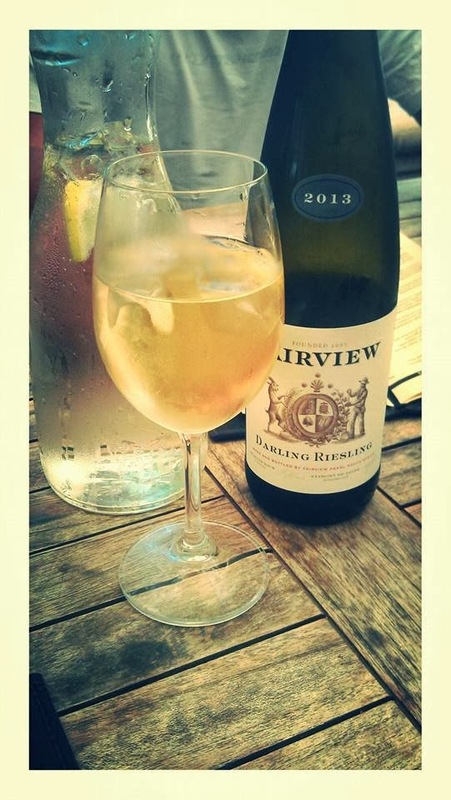 I ordered a bottle of their Riesling, priced really reasonably at only R45 a bottle. It had to be done, this was not up for discussion. Taintless with my Trout duo, it was a conqueror! 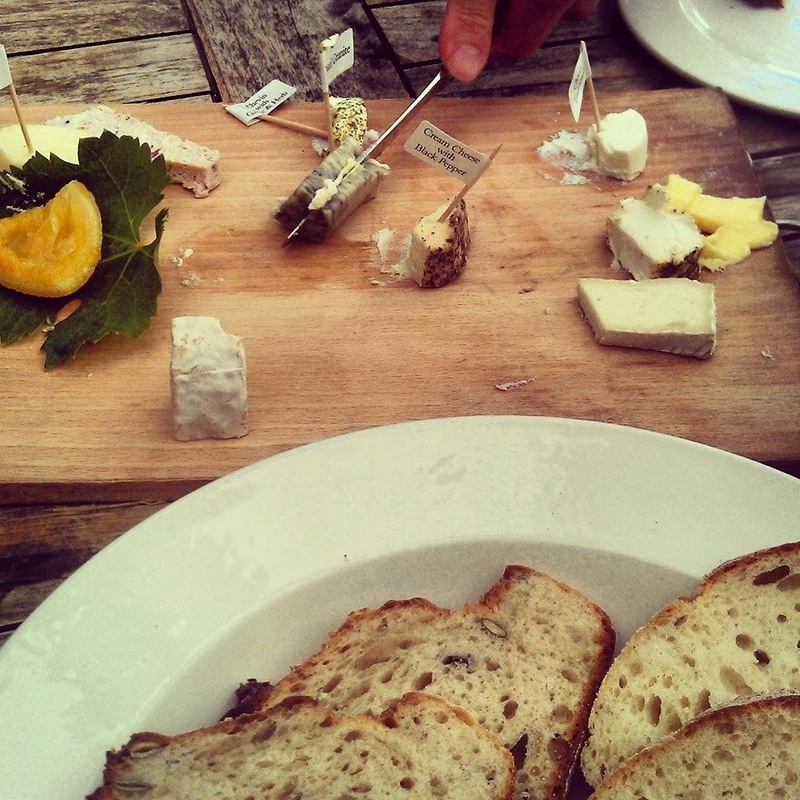 Not to mention the cheese- board so eloquently placed before us. What was really cordial, was that you had the option to choose ten cheeses of our choice, great! Back to the duo of trout, one pan-fried, the other smoked was gastronomical as a whole, served with quinoa it paired wonderfully. The Cape Winelands offer an array of gourmet restaurants, but let me tell you that I was overjoyed with Fairview and my whole experience was certainly one to boast about. Fairview is not just a wine farm, the Goat-Shed, not just another restaurant, except it is an experience, that painted a canvas of memory. Take me back to yester-year! I am in wanderlust. Because I am a growing gourmet, there a lot of skills to learning how to cook, like jointing a chicken. I know that it is so much easier and less lengthy to buy chicken pieces from your local grocer, however it is so satisfying using essential knife skills to butcher your carcass, because the results are so much more fulfilling. Grab a whole chicken from an organic butcher. Place the chicken on its side with the breasts towards you. Holding the chicken firmly, cut the skin all the way along the back bone. I would recommend using a boning knife to do this. Pull away the leg and cut the skin to free it. Do this with each quarter of the chicken and free the small nugget of meat, also known as the oyster (because of its shape),from under the back of the carcass. Cut and remove any tendons or muscles before removing the leg portion. Keep the wings of the chicken attached to the breast. Cut the bones along the rib cage starting from the wishbone working up.Remove this entire section, then cutt off the wings. Trim and cut off any small bones, skin and fat. Neaten the chicken portions and cut off any excess meat from the drumstick bones. You should have something like the image attached. Do not throw away any unwanted pieces. These can be used to make a chicken stock for soups, stews and sauces. Please note that Images are provided by other sources than my own. There are a few things greater than a tender rump cooked to perfection. This one was a winner to say the least, as it incorporated summer flavors -juicy enough to tantalize your taste buds. Its Summer here in South Africa and my kitchen is heated with a variance of fresh ingredients. I love nothing more than finding knobbly vegetables and colorful fruits to create a pallet of color.My kitchen is my canvas and as I inspire myself I hope to inspire you. Oil the rump well, season with salt, pepper and paprika. Sprinkle a few sprigs of rosemary. Allow to stand. In a grill pan or frying pan, heat the oil. Add the rump and allow to cook for 5 min on each side. If you prefer your meat more well done, leave it up to between 7-10min on either side. Remove from the heat and allow to rest. Place on a baking tray before putting in the oven. In the meantime, preheat the oven to 220 degrees Celsius. Bring a pan of water to the boil and add the potatoes. It should take roughly 10min to cook. Remove the potatoes from the heat, drain in a colander and add them back to the pan and back on the heat. Drizzle over some olive oil, before crushing them with with a fork. On the same baking tray as the rump, toss over the crushed potatoes and season. Place in the oven for 30min until rump is tender and potatoes are crispy. For your salad, wash and clean all ingredients. Add the baby spinach, cress and rocket to a salad bowl. Roughly chop the tomatoes and add to bowl. Core and slice the pear, before adding to the bowl. Drizzle over a decent amount of olive oil along with the zest of one lime. Toss through your salad before adding salt and pepper. Remove the rump and potatoes from the oven and serve. My chicken got the poach. 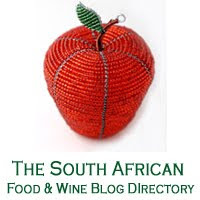 I blog because I have a strong passion for food, its fulfillment and the joy it can bring to everyone of us. Food brings people together, it builds relationships, it is the one pleasure that we can share among others and not feel guilty for doing so. Food is so emotive, so effective, expressive and alive. Keep calm and cook on!